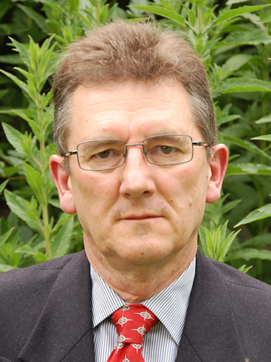 Dr Dubrey trained at the Welsh National School of Medicine, qualifying in medicine in 1983. His cardiology training was completed at a number of West London Hospitals. His MD, at The Westminster Hospital, concerned the identification of risk factors for cardiovascular disease in identical twins discordant for type I diabetes and was completed in 1993. Before obtaining a permanent post in the UK, he spent 2 years working as a cardiology Research fellow in one of the biggest US Amyloid units in Boston, Massachusetts. On returning to the UK he obtained a consultant post at The Hillingdon and Mount Vernon hospitals NHS Foundation trust in 1999. He was elected to fellowship of the Royal College of Physicians in 2003 and to the American College of Cardiology in 2009. He has been Director of Research and Development at Hillingdon since 2007. His research interests have included diabetic, amyloid and sarcoid disease. He has completed a number of pharmacological studies including work with Dofetilide, Ranolazine, Enoximone, Omapatrilat, Rosuvastatin, Candesartan, Melphalan, Bortezomib and Gene silencing therapies. He has published a number of papers, review articles and book chapters on cardiac amyloidosis and on cardiopulmonary sarcoidosis. He is on the editorial board of 3 journals and continues to publish widely with several publications on general cardiology cases and review articles. Current posts include Honorary consultant cardiologist at Harfield and the Royal Brompton NHS Trust and Hon Senior Lecturer at the Imperial College School of Medicine. Unusually for a cardiologist, he has remained on the general medical 'take' until early in 2017. Other interests include kayaking, cycling, chandeliers, geneology, the french language, France and surviving to retirement age.